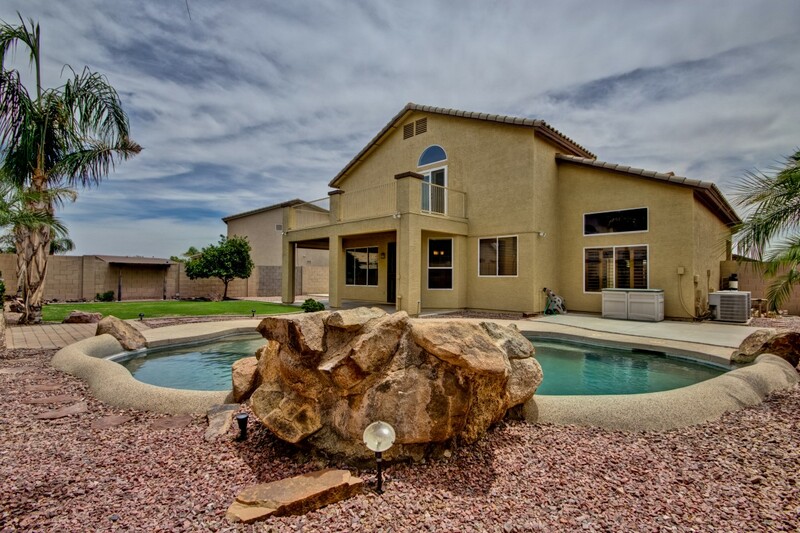 True knowledge of the city of Phoenix and a winning reputation with former clients are also key assets that set the best agents apart from others. We’ve taken all of those factors into account and chosen the top 15 real estate agents in Phoenix who can help you with your property needs. And although we put in the work, we also knew your personal experience would help surface some of the more popular agents. We’ve included a poll at the bottom for you to vote for the best real estate agent according to the people of Phoenix. Jeff Polett – If you’re looking for an agent who knows Phoenix like the back of his hand, look no further than Jeff Polett. He’s “The Realtor Who Grew Up Here,” so he’s definitely a solid resource when it comes to knowing the local market. Thomas Osterman – Industry veteran Thomas Osterman consistently receives high ratings from the buyers he works with. He also knows his industry inside and out, so every buyer is in good hands working with him. Karen Pokorney – Karen runs the family affair that makes up the Energized Group. She has numerous certifications to her name and is consistently an active voice in the real estate community. She and her family will take care of you. George Laughton – With thousands of Phoenix clients under his belt, George has the know-how and the budget-conscious mind that you want around when shopping for real estate. We’ve also awarded brownie points for a good-looking, informative site. Carin Nguyen – Once featured by the Wall Street Journal, Carin has the credentials to make your real estate transaction as smooth and painless as possible. Gina Donnelly – You cannot pass up the opportunity to work with this real estate agent whose listings have been featured on AZ Million Dollar Listing – a television show dedicated to Arizona’s finest luxury homes. Justin Baker – Once you’ve reached the $52 million mark in Phoenix real estate, you’re in a special league. Justin is in this camp and has the impressive track record that you want representing you when buying a house. Walt Danley – Walt Danley’s real estate sales have consecutively landed him in the nation’s top 1% since the 1970s. He’s an industry leader that is guaranteed to provide a world-class real estate sale experience. Heather Maclean – Heather has been named by numerous organizations and national publications for her achievements in real estate. Having a decorated agent is a clear sign that you’ve chosen a good one. Jeff Tipton – As a former college athlete, Jeff has the discipline and ambition to help you get to your goal. He’s also constantly stretching his own goals, working towards certifications that ensure he’s the best possible agent he can be. Christie Kinchen – Christie is an Arizona native and fourth generation real estate agent in her family. She has dedicated most of her life to becoming well-educated in her field and is among only the 4% of Realtors who have become a Certified Residential Specialist. Bonnie Dillon – Bonnie has been a top performing agent for all of the 2000s, and it doesn’t look like she’s slowing down anytime soon. Even though she opened up her own brokerage just 2 years ago, Bonnie Dillion Realty is a well-known name in Phoenix luxury real estate. Joe Janus – Specializing in architecturally distinctive homes in Phoenix, Joe stands out from the bunch with his diverse taste. If you’re planning on buying a home that makes a statement, you’d better find Joe. Stacy Erickson – Stacy is the head of Halcyon Realty Group where customer service is king. Stacy has incorporated a consulting approach to all client work that is done at Halcyon to ensure that every client is getting the best service possible. Joan Levinson – Joan is the luxury expert you need if you’re looking to buy or sell an upscale home. Having been featured in The Wall Street Journal and Forbes, Joan certainly lives up to her reputation. Buying and selling homes is complicated and overwhelming. Use this list to make sure that you work with the best agent possible. If you’ve worked with one of these agents before who you really loved, please let us know by contributing your vote below.